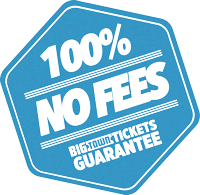 Tired of being surprised with a 25-30% fee at checkout like other exchanges? Big Town Tickets shows you the price you will pay right when you first view your seats. No Hidden Fees.